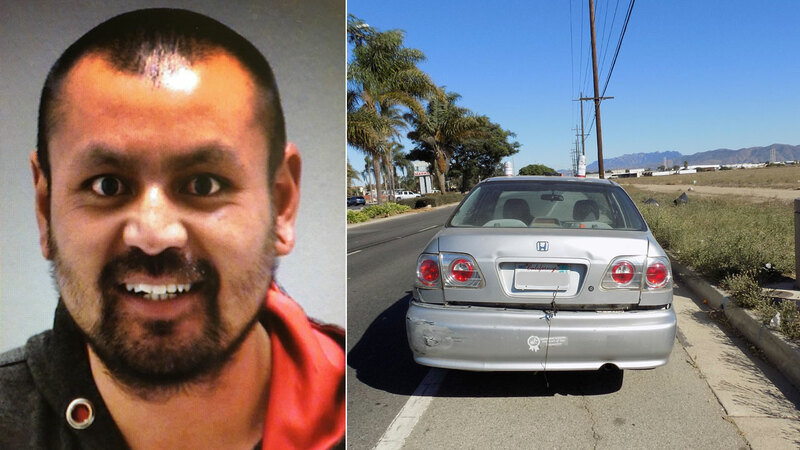 PORT HUENEME, California -- A California man was arrested on suspicion of child endangerment and other charges for making his 11-year-old nephew drive a car because he was too drunk in Port Hueneme, according to police. A Port Hueneme patrol officer noticed a car driving northbound on Surfside Drive around 2:45 p.m. Sunday. The driver was attempting to make a right turn onto Hueneme Road and the officer noticed the driver appeared to be a child between 8 and 10 years old. After watching the child make several traffic violations, the officer conducted a traffic stop. The child driver yielded partially off the roadway. During the stop, dispatch began receiving calls about a child driving a car with a male passenger slumped in the front seat. The driver of the car was determined to be an 11-year-old boy and the passenger in the car was the boy's uncle, who was intoxicated, authorities said. Authorities identified the passenger as 29-year-old Genoro Lopez. He was in possession of an open container of alcohol and displayed signs of intoxication, authorities said. The young boy was asked why he was driving and at first he told police his uncle was teaching him how to drive, but later said his uncle was too drunk to drive. The child was released into his mother's custody, authorities said. While officers were speaking with Lopez, he stepped out of the car and what appeared to be a gun was found between the passenger seat and door. Lopez was quickly handcuffed and the gun was determined to be an imitation firearm. A records check revealed Lopez had a warrant out for his arrest for being an unlicensed driver. Authorities said he also admitted that his nephew was driving because he did not want to be arrested for drunk driving. A criminal history check also showed that Lopez was arrested by California Highway Patrol officers in Ventura for drunk driving in May. It was later determined that Lopez used methamphetamines several hours before the traffic stop and while he was caring for his nephew. Lopez was arrested and charged with felony child endangerment, the outstanding misdemeanor warrant and for having an open container of alcohol in a vehicle. He was booked into Ventura County Main Jail in lieu of $50,000 bail.